Orchard Harvest Soap Company of the Santa Clarita Valley is a trendsetting handmade soap shop, offering first rate skin care products formulated using nature’s finest vegetable oils, exotic butters, clays, herbal infusions and botanicals. As well as being scented by using premium fragrance and essentials oils. Their soap is very kind to your skin that will not leave it dry or cracked as it is one of the best in the industry. One of the products that is available is their Chamomile Calendula Lemon soap. This soap is a rich, creamy bar made with Chamomile and Calendula infused oils and chamomile tea. Herbalists consider Calendula one of the most effective herbal remedies for your skin and an exceptional skin conditioner that you can locate on the market. This beauty will remind you of sunshine with its bright fresh scent of citrus with a blend of floral and berries. Besides of helping you with an herbal soap, it is also having an aroma that makes you feel crisp and refreshed. Another wonderful soap that is available with Orchard Harvest is their Orange Patchouli Eucalyptus Soap. The combination of Patchouli and vitamins and nutrient rich Orange Essential Oil is helpful in promoting blood circulation in the bones and joints. It is also helpful in smoothing fine lines, stimulating cell growth, and replenishing moisture and thickness of the epidermis. The skin will thank you for your consideration that you want to have lovely skin and plan on taking care of it with products like these ones. Orchard Harvest Shop is everyone’s favorite soap shop. Their vegan and palm free soaps are handmade and created with locally grown produce, herbs and other botanicals. These are all-natural products. They are not adding in any kind of products that will be harmful to your skin and body. Makes you feel so much more fresher and knowing that you are doing your skin a solid treatment. To find out how to order products from Orchard Harvest Soap Company of the Santa Clarita Valley, you can contact them via their website or by phone. To learn more about Orchard Harvest Soap Company click here. Vine Vera is a globally-recognized skin care brand that serves men and women around the world. It is the brand’s mission to provide and promote luxe and pampering experiences with each of their skin care products to transform the way you look at your skin and your skin care. The Vine Vera team helps their clients make lasting improvements to the way they feel about their skin. With a vast product line that suits any type of skin, Vine Vera is able to cater to any individual’s needs. Like a fingerprint, everyone’s skin is unique and faces distinct challenges. However, skin is a constantly evolving surface, so consumers need a diverse set of possibilities that let them explore the world of anti-aging skin care in the best possible manner. The Vine Vera team presents 10 different collections which help you deal with different types of skin issues, irrespective of your skin type. All Vine Vera products are carefully crafted, using only the best and most luxurious materials. Each one of the company’s products is made with resveratrol, a natural compound that is thought to act like antioxidants, protecting the body against damage that can put you at higher risk for things like cancer and heart disease. The ingredient is also used to cleanse your body of impurities and helps in preventing the appearance of aging signs, like fine lines and wrinkles. Vine Vera products are also formulated using many other types of beneficial ingredients – essential oils, nutrients, antioxidants, natural extracts, vitamins and minerals – to make the products even more effective and essential. The company’s culture is what helps them deliver strong performing, luxurious products and skin care that really makes a difference in its consumers’ lives. Vine Vera strives to offer the perfect skin care experience from the very moment you begin its products. Along with the premier products, the team offers product demonstrations, expert skin consultations, product samples and complimentary VIP facials. The company also helps you stay up-to-date with the world of beauty and skin care through its various blogs and social media profiles. The company feels that staying engaged with its consumer base is essential, so whether it’s feedback, complaints, suggestions, or questions; their customer service representatives are always a phone call or an email away. Vine Vera is against any cruelty towards animals and does not believe in testing products on any animals. Founded by world-renowned dermatologists Dr. Katie Rodan and Dr. Kathy Fields, who also invented Proactiv, Rodan + Fields puts the power of dermatology-based skincare in your hands, using a highly effective social commerce business model. As of the 2016 ranking, we can say for fact that Rodan+Fields skin care is THE BEST! Our rankings by a third party independent firm are now in and we couldn’t be more excited about our future with this company! We are the number ONE skincare brand in North America!!! In the entire skin care market….out of products sold anywhere, at any price point…including the big guys that have been dominating the market for decades and we have blown them out of the water!! Rodan + Fields is also the number one Premium Anti-Aging and Premium Acne Brand in North America as well as the fastest-growing skincare company today! We just passed one BILLION dollars in annual sales and that is being in business for less than a decade. We are going Global and our goal is the be the #1 premium skincare company in the World. For more information on Rodan + Fields, click here. The THRIVE Experience is an 8-week premium lifestyle plan to help individuals experience and reach peak physical & mental levels. You’re going to live, look, and feel Ultra Premium like never before! Results from the THRIVE Experience are high impact, and can differ slightly from person to person, depending on your 8-week goal, and which areas of your lifestyle need the most help. > Age-Defying & Antioxidant Support+THRIVE by Le-Vel is something that’s hard to explain, and challenging to describe… it’s something that can only be experienced. For more information on Le-Vel Thrive, click here. CT Organics is an expertly designed natural and organic skincare company. Their products only use natural and organic ingredients to promote healthy, supple and beautiful skin. The skincare line is rich in plant, fruit, seed, vegetable extracts and nourishing sea algae. Founder and chemist, Dr. Sepideh Yaghmaei, uses her expertise to source natural and potent antioxidants, vitamins, minerals and fatty acids to encourage skin regeneration. CT Organics will be a proud participant in the 2016 Santa Clarita Home and Garden Show in Central Park April 16th & 17th. Each product at CT Organics are scientifically crafted for you and uses only the highest quality ingredients. CT organics is completely transparent with what goes into their products and even encourages you to know exactly what ingredients are in your skincare products. CT carefully select their wide range of ingredients to make sure they are as unrefined and unprocessed as possible ensuring the most natural and organic product. CT Organics proudly never uses Sulfates, Pthalates, Parabens, Mineral oils, Aluminum, Tolune, Triethanolamine, Formaldehyde and Para-aminobenzoic acid in their formulations. For more vendors in the 2016 Santa Clarita Home and Garden Show, click here. CT Organics products contain the highest quality natural ingredients, a minimal amount of fillers, and are 100% synthetic fragrance free. However, fragrances can be added if requested. Skincare products are made fresh every month, and they can even be delivered straight to your door. Most importantly, their products are never tested on animals, just on humans. CT Organics strive to have the best quality products for your skin. The majority of ingredients are certified organic. All products are completely gluten free as well. CT Organics will also gladly make a custom order of a certain product with only certified organics ingredients. Their ingredients can be found on the official CT Organics website. CT Organics also offers a class to make your own cold processed Soap. Learn how to make all-natural, cold processed handmade soap in a fun class at CT organics. You can choose your natural coloring and scent to make 3 beautiful bars of soap to take home. The class will take 2 hours and all material are included. To learn more about CT Organics, click here. We hope you can join us on April 16th and 17th, 2015 at one of the largest California Home and Garden Shows right here in Santa Clarita! Founded with a mission to handcraft wholesome soaps and skincare products utilizing nature’s finest ingredients, Forget Me Not Soaps is a small artisan skincare company with an emphasis on health that has been helping provide Santa Clarita Valley residents with an alternative to damaging unnatural products. Specializing in a wide range of products ranging from soaps and balms to Dead Sea salt scrubs all made from natural ingredients Forget Me Not Soaps is committed to helping preserve your body’s largest organ, your skin. Heavenlee Scents sells aromatherapy products made from goat’s milk and other all-natural ingredients. This family-owned operation sells quality soaps, candles, and cupcake bombs to bring you a quality cleansing experience at a great price! The owner of Heavenlee Scents makes every goat’s milk product herself with an emphasis on craftsmanship. These bath products cost as much as $15 at most retail outlets, but you’ll find beautifully made soaps starting at only $5 with Heavenlee Scents. Though the company is located in the Antelope Valley, they are proud to serve Santa Clarita and the surrounding Southern California area. After years of dedicated research, time, and effort, the owner of Heavenlee Scents knows an astonishing grasp about how to make good soap. On her website, she lists the ingredients she uses to elevate her bath products above the rest. Specifically, goat’s milk soap naturally soothes and moisturizes the skin, and is packed with a variety of vitamins and minerals that kill bacteria and soothe skin ailments, including psoriasis and eczema. Click Here for a list of exhibitors for the 2015 Santa Clarita Home and Garden Show. Heavenlee Scents also infuses soaps, cupcake bombs, and candles with the right amount of all-natural oils that contain wonderful properties for nourishing skin. You can find soaps and candles with olive (helps skin retain moisture), coconut (moisturizes skin), castor (stimulates the production of collagen and elastin, which soften and hydrate), almond (beneficial for dryness and inflammation), and palm oils (palm oil is also great for the skin, and hardens the bar of soap!). Heavenlee Scents strikes a delicate balance with the mixture of oils and goat’s milk to deliver the best quality aromatherapy products available to Antelope Valley, Santa Clarita, and Southern California customers. The love, care, and attention to detail that goes into Heavenlee Scent’s handmade goodies certainly distinguish this company’s offerings from similar products you’d find at retail stores. You’ll find a selection of over 30 goat’s milk scents, and a wonderful selection of cupcake bomb flavors, including Irish spearmint, midnight pomegranate, almond blossom, and of course, chocolate! Candles start at $12, plus shipping. After successfully selling aromatherapy offerings to happy customers throughout the Southern California area, Heavenlee Scents will be making an appearance at the 2015 Santa Clarita Home and Garden Show on April 25 and 26 at the Hyatt Regency in Valencia. Click here to learn more about the 2015 Santa Clarita Home and Garden Show. To learn more about Heavenlee Scents, click here. We hope you can join us on April 25th and 26th, 2015 at one of the largest California Home and Garden Shows right here in Santa Clarita! Laurie’s Naturals, one of the best-kept secrets of the skin care industry, is going to be at the 2015 Santa Clarita Home and Garden Show! Laurie’s Naturals makes InfiniteAloe Skin Care moisturizing cream that contains all-natural ingredients. However, InfiniteAloe Skin Care cream is no ordinary moisturizer – this is a multi-purpose relieving agent that can help soothe and heal scars, bruises, and joint pain. On Laurie’s Naturals’ website, you can read countless testimonials from satisfied customers who experienced a dramatic decrease in the pain and presence of various physical ailments after using this cream. InfiniteAloe is made from a skin care formula that’s unlike anything else in the industry. This formula contains a combination of all-natural ingredients that have repeatedly been tested and used in research studies and throughout history to treat a variety of physical conditions. InfiniteAloe relies on aloe vera as a primary ingredient to soothe and heal cracked and chapped skin. Aloe vera is used in all types of skin care, and numerous studies have documented its beneficial effects on the immune system. Laurie’s Naturals uses organic Aloe Barbadensis Miller, the finest quality variant the plant has to offer. Aloe vera is such a successful healing agent because it penetrates several layers of skin with essential C, A, E, and B vitamins, along with zinc, copper, and magnesium. Aloe vera has been used to successfully treat acne, eczema, psoriasis, and several other skin conditions. Residents of the SCV can also use it to treat minor wounds and burns. In addition to aloe vera, InfiniteAloe from Laurie’s Naturals also contains green tea leaf extract, zea mays (corn oil), apricot kernel oil, and panax ginseng root extract, some of the finest all-natural ingredients for treating skin conditions ever put into one formula. Santa Clarita residents can find all of the ingredients used in InfiniteAloe Skin Care cream on Laurie’s Naturals’ website. This revolutionary skin care cream is infused with 10 different botanicals, 5 anti-oxidants, and Vitamins A-K. It contains no mineral oils, lanolin, waxes, or petroleum products, and is paraben and nut free. Residents of the SCV and Southern California can find Laurie’s Naturals and their skin care creams, scrubs, and anti-aging products at the 2015 Santa Clarita Home and Garden Show in Valencia. 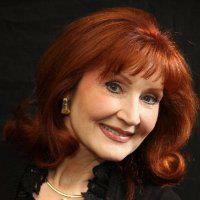 To learn more about Laurie’s Naturals, click here. Nerium International’s Independent Brand Partners are a family of people who believe in owning their own business, recognize their destiny is in their own control, and are ultimately inspired by helping others. Due to Nerium International’s unprecedented sales and growth, Nerium was the youngest company ever featured in Direct Selling News and SUCCESS from Home magazine. In these publications, Nerium was billed as one of the top up-and-coming companies in the relationship marketing and skin care industries. Nerium will be a participant at the 2015 Santa Clarita Home and Garden Show on April 25th and 26th at the Valencia Hyatt. They will also be a featured speaker at the Home-Based Business Expo on April 26th. Nerium’s skincare products are rooted in nature, science, and high-impact ingredients. Our flagship product, NeriumAD Age-Defying Treatment, contains the most effective ingredients available, including our exclusive, patented NAE-8 extract, which has powerful antioxidant properties that help reduce the appearance of many signs of aging. This night cream has higher concentrations of the NAE-8 extract and our proprietary protein blend than any product in the NeriumAD line. These high-impact ingredients help the skin appear youthful and tight. Nerium works 500% better than anything else in the marketplace with an average of 30 to 67% improvement in the skin; while the”best of the best” historically has only given a 2- 5% improvement. Over one million people have enjoyed the benefits of NeriumAD. It’s time for you to experience the Nerium Difference. If you have vibrant skin and want to retain that youthful, healthy glow for life, or wish you looked younger so your outward appearance matched your inner youth, NeriumAD products have you covered! The NeriumAD product line is effective from the first application; however, you will see remarkable improvements in your skin’s appearance through continuous use. Ultimately, we know you want lasting results. That’s why NeriumAD is an ongoing choice, a daily ritual, which will help you achieve youthful-looking skin. 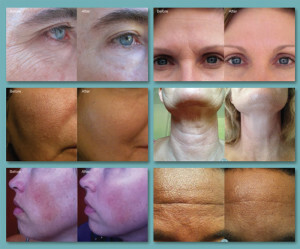 No matter how young or old you are, great skin begins with NeriumAD. Are you ready to reflect your youth? If so, click here to watch a short video to learn more about our product line. Nerium scientists developed a breakthrough process, NBio-PL2, to derive an extract from the Nerium oleanderplant in a way that preserves its unique and beneficial properties. This patented extraction process yields the NAE-8 extract, with powerful antioxidant properties, used to formulate the first-of-its-kind, age-defying Nerium product line. Nerium International is the first company with the exclusive capability to harness the power of the Nerium oleanderplant in its skincare products. The product line addresses multiple concerns at once, including: wrinkles, discoloration, and texture. Nerium controls this main active ingredient from seed to bottle, making the Nerium skincare line both high-impact and innovative. This is the Nerium Difference. Ready to live better? Nerium International’s Independent Brand Partners are a family of people who believe in owning their own business, recognize their destiny is in their own control, and are ultimately inspired by helping others. With real science behind us, our Brand Partners have a one-of-a-kind opportunity to make a difference in their own financial and personal lives, as well as in the lives of others. Due to Nerium International’s unprecedented sales and growth, Nerium was the youngest company ever featured in Direct Selling News and SUCCESS from Home magazine. In these publications, Nerium was billed as one of the top up-and-coming companies in the relationship marketing and skincare industries. Nerium was also chosen to be profiled in the first issue of Beautiful You magazine. Check out these industry firsts and other accomplishments in our “News” section. Nerium International is truly a global company and growing at an unbelievably rapid rate. We currently have Brand Partners throughout the United States, Mexico, Canada, as well as all U.S. Territories, including Puerto Rico, Guam, American Samoa, the Virgin Islands, and the Northern Mariana Islands. We plan to continue our international expansion to Asia and beyond in 2015. As such, we are busy translating our materials and websites to accommodate the various languages our Brand Partners speak. We currently provide business materials in English, Spanish, Korean, and American Sign Language (ASL). Nerium International is truly a global company and growing at an unbelievably rapid rate. If you are looking for an opportunity to own your own business and help improve the lives of others as well your own, visit the Nerium website today or visit them at the 2015 Santa Clarita Home and Garden Show on April 25th and 26th. To learn more about Nerium International, click here. Within two weeks, people wanted to try it based on her results. Thanks to Nerium’s “3 UR Free” program, after she signed up three customers, her product has been free. Free for life, what other company does that? Nerium International will be a proud sponsor of the First Annual KHTS Home-Based Business Expo on Sunday April 26th, 2015 at the Valencia Hyatt. This direct selling symposium offers an easy way for residents to find out if direct marketing is for them in a non-threatening environment without the hype, without the sales pitch and without any pressure. Click here for more information. Isagenix provides ingenious weight-loss solutions to individuals interested in pursuing optimum health and wellness. This company sells delicious protein shakes, diet snacks and meals, and weight-loss supplements that are scientifically proven to help users lose body fat and gain muscle. Importantly, all of Isagenix’s products undergo a rigorous quality control process as part of the company’s no-compromise approach to individual well-being. All formulas are created with the input of top dieticians and health professionals, and all ingredients are engineered for safety, purity, and potency. As a result, consumers experience the highest quality dietary supplements and personal care products on the market. Members of the Santa Clarita Valley can rejuvenate all aspects of their lives with Isagenix, and even become partners in this multimillion dollar company as consultants, providing members of their community with the tools to regain control of their health while earning steady income. The Isagenix team takes health and wellness seriously. Their reputation for cutting-edge research and quality products has attracted professional athletes, endurance competitors, body builders, and personal trainers from over eight countries. The innovative work of top-notch dieticians and formulators in developing Isagenix’s fat burning and cleansing systems has led to countless weight-loss success stories around the world. With Isagenix’s 30 Day system, users can experience consistent weight loss over time, balanced digestion, reduced cravings for unhealthy food, and improved muscle tone and energy in only four weeks! All of the company’s weight-loss solutions incorporate vital nutrients to boost the body’s metabolism and allow you to harness your maximum physical potential. With the increased energy and optimal nutrition gained from Isagenix’s tasty protein bars, shakes, cookies, soup, and other snacks and mini-meals, SCV residents can experience increased productivity in their daily lives, and spend more time with family, friends, or doing activities they enjoy. This increased time and energy can also be accomplished as a valued member of Isagenix’s company. Santa Clarita residents can achieve financial freedom as Isagenix consultants, and share their success with other members of the community. With Isagenix’s weight management, healthy gaining, energy and performance, and skin care bundles, you and other clients will have everything you need to become a part of, and profit from, a true weight-loss revolution. Visit the Isagenix website and become a part of the movement today! To learn more about Isagenix, click here. Isagenix will be a proud sponsor of the First Annual KHTS Home-Based Business Expo on Sunday April 26th, 2015 at the Valencia Hyatt. This direct selling symposium offers an easy way for residents to find out if direct marketing is for them in a non-threatening environment without the hype, without the sales pitch and without any pressure. Click here for more information. Ruff House Ranch makes delightful handcrafted goat’s milk soap and skin care products from the happy herd on their farm in Twin Oaks, California! Ruff House Ranch’s product line certainly lives up to its name, La Chèvre Doux, which means “the sweet goat” in French. Owner Jennifer Moore makes a variety of tantalizing scent combinations, as well as soap designs in vivid, beautiful colors that attest to the quality of her craftsmanship. Ruff House Ranch’s goat’s milk soap offerings include vanilla bean, milk and honey cupcake, fresh linen, cucumber mint, unscented chamomile, and many more! This company also sells lip balms, lotions, healing salves, and sugar scrubs. Treat yourself or a special someone to Ruff Ranch’s unique, all-natural skin care products, made from the highest quality of oils, butters, herbs, and botanicals. This company ships anywhere in the United States, including the Santa Clarita Valley. Ruff House Ranch prides itself on their quality craftsmanship and product innovation. Owner Jennifer Moore constantly creates new scent combinations to thrill the senses. Affectionately-named soaps like the Best Exotic Marigold Hotel, Sharp Dressed Man, and The Crown Jewels will soothe and clean like no other skin care product on the market. Ruff House Ranch even sells natural felted goat’s milk soap encased in a sheath of wool; these last 2-3 times longer than regular soaps and function as a both a soap and a washcloth. Also, since wool is a natural anti-microbial, your wooly soap will never mildew or get that sour wash cloth smell. Jennifer makes soaps in all sorts of different designs – her cupcake soaps look practically good enough to eat! Scents include blackberry sundae, kumquat jubilee, strawberry rhubarb, and chocolate-cherry kisses. Although scrumptiously designed, these beauties have the perfect combination of natural oils and botanicals that make them perfect for cleansing your skin. With La Chèvre Doux, members of the Santa Clarita Valley can find unique, all-natural skin care products, made with fresh goat’s milk from the happy herd on Jennifer Moore’s Ruff House Ranch. These items make great party favors, thank-you gifts, and stocking stuffers, and are wonderful items to have in your household. For quality skin-care products made from all-natural ingredients, SCV residents skip the chain stores and the corporate chemicals and order from La Chèvre Doux at Ruff House Ranch! To learn more about Ruff House Ranch, click here.